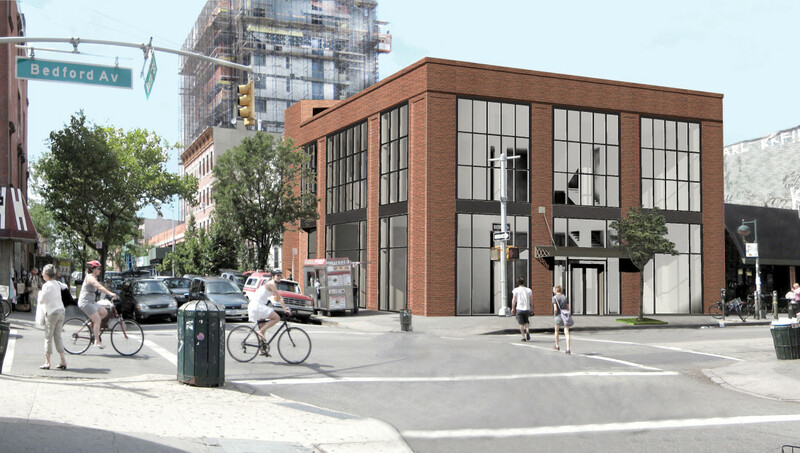 Tasked with designing a new retail building on Bedford Avenue, Fradkin & McAlpin looked to the neighborhood’s industrial aesthetic. The new building stands out by virtue of its location, where the L train first stops in Brooklyn at 7th Avenue. Taking cues from it’s 19th century neighbors, the building refines Williamsburg’s 21st Century cache. It is part of the gateway to Williamsburg. 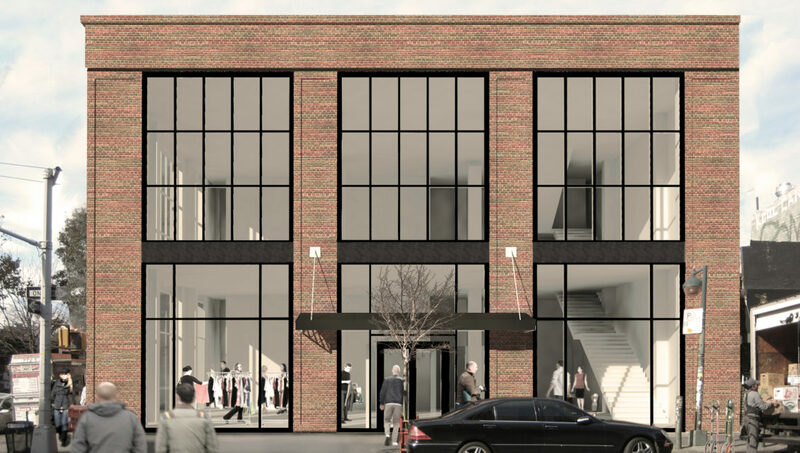 Adaptable to multiple types of retail tenants, the new space features floor to ceiling glass windows, brick exterior finishes, and a roof deck sure to make it a destination in this transforming Bedford Avenue neighborhood. We maximized the floor space by creating a 12 ft. high Basement sales space. Maximized sales space on a complicated and restricted site.